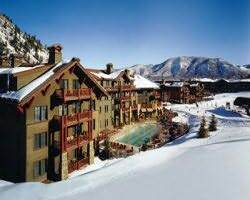 Tours de Sport's Blog: Pamper yourself (you deserve it) at the Ritz Carlton Club, Aspen! Pamper yourself (you deserve it) at the Ritz Carlton Club, Aspen! Ritz Carlton Club March Escape Week. Save over 35% off of rack on these prime dates!!! Don't miss this opportunity to stay at one of Aspen's most prestigeous addresses at a rate that is unheard of during prime time. We have one (1) of these great units at this specially reduced price. When it's gone, it's gone!!! This full service facility is ideally situated right at the base of the Aspen Highlands ski area with true ski-in, ski-out access that is just five minutes from the excitement of downtown Aspen. Meet with friends for a wine tasting in the Member's Lounge or relax while your dedicated concierge arranges your dining plans at one of Aspen's finest restaurants. 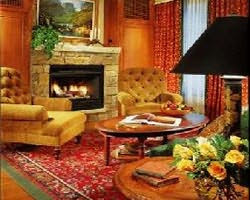 Amenities include slope-side pool and pool deck, fireplace, and high-speed Internet. Package Includes: 7 nights lodging, 5 day lift ticket, all taxes. All rates shown are per person. Valid Dates: Arrival on March 5th for 7 nights, departing on March 12. Prices are based on 6, 5 or 4 guests per 2 Bedroom/2.5 Bath Condo. Other occupanices available, prices will vary. Call an Aspen Ski or Ride Specialist today at: 888-754-2167 to take advantage of this exceptional offer.